You already know you can link directly to any page or annotation. 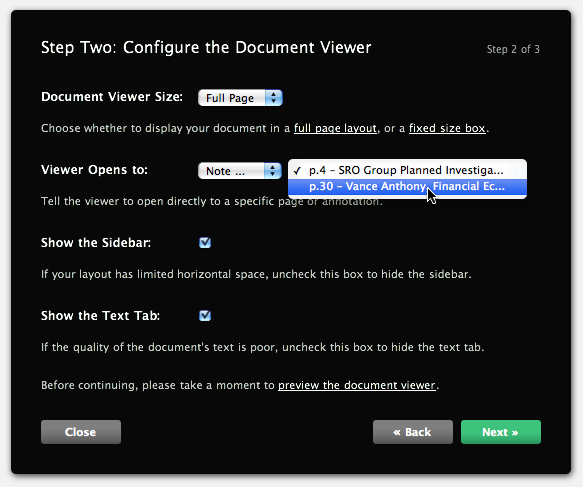 Now you can embed documents so that they’ll open to any page or annotation, too. If you want to point your readers to the shocking revelation on page seventy five or open the viewer directly to a key annotation, check out our new embed dialog. We build features like this because our users ask for them &emdash; what do you need DocumentCloud to do?